So we thought it was a good time to do a budget check-in to see how we are doing on our expenditures. As I've learned from many smart financial writers, and repeated many times here, spending is the number one reason that retirement plans either work or fail. A retirement plan either provides you enough cash flow for a long happy life, or it runs out of money before you run out of time. Our spending plan from the beginning has been a little different from many of them out there. The common approach, whether from an advisor or from a software tool, is to calculate an annual allowable spending number, and then adjust it each year for inflation. So your spending power never really changes, it rides the inflation wave up and down but your lifestyle doesn't change. We've approached this differently, without a fixed number for life, but it's not just flying by the seat of our pants. It's all pretty well planned using a few different software tools. Next year we expect to spend a little less than this year because we're now already set up here on the island. And each year after that is different still. But the key point for us is spending less money early on while we let our adventures entertain us, and then fine tune it as we go. We don't need a lot of money to enjoy our lives in any case, but as we get older we'll probably want some more creature comforts as well as access to better healthcare, etc. Since those things will cost more, it's important for us to shell out less now. All of this is driven by the power of compounding, which can and should work in your favor. In a stock market making 7% per year, you'd double your investment in 10 years without another dollar of new investment. It works like this: 1.07 x 1.07 x 1.07 x 1.07 x 1.07 x 1.07 x 1.07 x 1.07 x 1.07 x 1.07 = 1.97, or basically doubling your initial investment. Compounding can also work against you - inflation at the historical average of 3% per year takes back 1/2 of that profit because your spending power is reduced by the amount of inflation. In this example, that wonderful 7% gain becomes only a net 4% gain each year. If you multiply 1.04 x 1.04... and do it for ten years like we did above, the result is only 1.48, or roughly 50% higher than where you started. That's still not bad, but that inflation compounding really took a chunk, and the same concept applies to your spending. The money you spend early on never has a chance to compound and work for you because you already spent it - this is obvious. To continue the example, if you are spending 4% of your nest-egg (the classic rule of thumb), this works against your portfolio, compounding in the wrong direction your entire life. In the example, that would leave your portfolio with a gain of 0% per year, exactly where you started, after inflation and spending. That's actually a great thing when you're retired, your investments would be keeping pace with your spending, and your nest egg wouldn't be shrinking. All this said, you should know that a 7% gain on a retirement portfolio is highly unlikely over an extended period of time. It implies a near-100% investment in stocks which isn't really advised for early-retired, normal-retired, or any kind of retired people because of the risks. And it also implies a helluva lot of luck - stock prices don't go up evenly each year (not at all! ), nor does inflation, so please just take these as examples. Still, it's important to watch the spending in the first 10 years or so of retirement, and why we're checking in on it now. This year we budgeted $3700/month for baseline expenses, what a business major might call "fixed costs". This covers rent, electric, water, internet, cellphone, Netflix, food, auto fuel and maintenance, insurance, and pet expenses. Those are all pretty much the same every year. We could trim some of them in tough times so I suppose they're not truly "fixed" costs in the strictest sense of the term, but that's how I like to think of them. I'm sure there are people here in Vieques spending quite a bit more than that and others spending far less. This feels about right to us. Next we budgeted for the non-recurring expenses (one-time expenses?) that we knew about ahead of time, I think of these as "variable costs", but again not in the very strictest sense of that term. These include the used-car purchase, travel and wedding expenses (our son Zack is getting married in August - woohoo! ), and some of the spending to get settled here in Vieques (bicycles, car rentals, household items, etc.). These expenses added up to several thousand dollars but again they don't recur, or if they do (e.g. we do plan to travel each year) they are in the budget. Finally, we budgeted for the unknown. This is more difficult, it gets a little sticky because it's unknown! Actually, some of this could have been known had we planned far enough in advance. The solar backup system falls into this category. We knew when we came here that the power was sketchy, but we didn't think far enough ahead to say "we're going to have to do something about that, and it's going to cost this much". Also, hurricane prep (all those cans of food!) cost us a few hundred bucks and was predictable with enough foresight. But we're not beating ourselves up about these things, it's why we put some extra money in the budget - we can't predict the future. At some point, you're just living life and stuff happens. What do you do? You go with the flow, that's what you do. So, with all this planning and some non-planning, was it enough? Let's dig a little and see how we're doing. This looks like our spending is all over the map, and I guess it is, which is why I put in the columns with averages to bring a little sanity to it all. What really matters is how much gets spent by year end, not month by month, so averages are more useful. But looking a little closer, we can see that each month we had some one-time expenses (non-recurring?). They are legitimate expenses, I was just surprised that they kept coming each month. Are they one-time expenses if you have them every month? To start off the year, we flew from Roatán, Honduras to Vieques, Puerto Rico, with our two little doggies. They are only 6 and 9 lbs. but together they cost about the same to fly as an extra person. That's because they need health certificates, travel gear, multiple pet fees, and they also become our "personal bags", which means we have to pay extra for checked bags that we normally wouldn't even have. Much of the travel expense for this trip was actually already paid in December, but we still had a night in a hotel with pet fees, some big city meals, more pet fees on the last flight, etc. which all added up to about $900 during the month of January. And the bikes we bought totalled about that much as well. 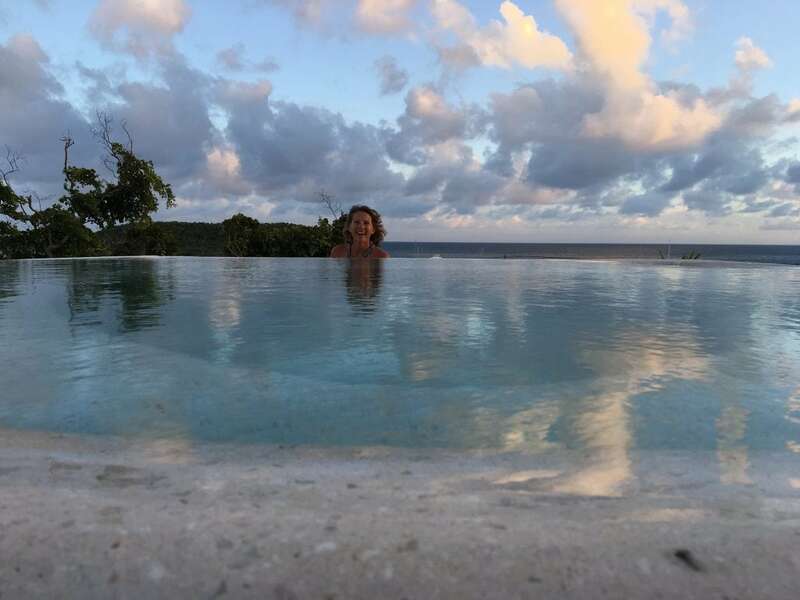 In February, our first full month in Vieques, we had some small costs I think of as "Moving & Settling" expenses. Some of this was shipping a half dozen of the "if it fits, it ships" boxes from Colorado which contained tools, personal items, our good kitchen knives, a few clothes, etc. More of it was us buying necessary items for Vieques like a good fan, some utensils, etc. The house we are renting came well-stocked, but there's always a few things you need. In March, we were still buying some of those household items when we decided we really needed that solar backup system described in detail here and over here. That came with a substantial cost (over $1000) but is so worth it to us! In April, we bought a car, which was a relatively huge expense, but again worth every penny. It was at that point that we felt like we were really "doing it right" on this island because we could go anywhere we liked (the bikes were limiting our exploring due to safety concerns). We also started spending some money on the wedding, which is coming up soon. This went to some venue costs, etc. and these numbers will grow as we approach the big day. It's all in the budget, but the car sticks out quite a bit when you just look at a short slice of time. All of that put a real spike in the April spending, putting the "one-time" outlay well above even our normal monthly spend. May was when we were doing our hurricane prep and some wedding expenses continued, including plane tickets which we purchased in June. So I believe it was all necessary, we weren't throwing money away, it just looks a little spendy without some context. In graph form, you can see the averages of Total Spending and what I call Normal Spending (without those pesky one-time expenses). As you might expect, the overall spending is quite variable, while the normal spending is more steady. I put the averages in there as well because month-to-month things can change quite a bit. The Normal Spending is falling right into what we budgeted for, even a bit low - the average is running about $3400/mo vs. a budget of $3700. But that should be expected - these are mostly "knowns", the normal recurring expenses everyone has. And as for the "less knowns", in the first half of the year we have spent about 80% of our (annual) budget for all those oddball expenses. We're not nailing it in this area considering the upcoming wedding, but remember we're really new at this! We'll get better and honestly we're not far off as it is. That's today's lesson in retirement planning - plan ahead, but also plan for the unexpected. If you expect it, it's in the budget (well, it should be) but you also have to plan for those things you didn't foresee. You don't know what they are, but you know something will hit. I missed the mark on some of this, but we're not doing bad for the first half-year after settling here in Vieques. In fact, we're pretty pleased. Looking ahead, I'm not sure how often we'll do a budget check blog, but twice a year feels about right for now. Anything less has too much "noise" in the numbers, too much variability. Once we get into a rhythm we may just do it annually. Has this been useful for those of you doing your own retirement planning? I suspect our situation is different enough that the actual numbers don't help most people, but you should be able to leverage the thought processes. Let us know in the comments below! One more thought: I know a lot of people don't like to budget, and some absolutely abhor it. The only thing I can say is that it is a vital part of retirement planning and execution, and is a key tool to living your life on purpose. TODAY'S SPECIAL: "Castaway" by Zac Brown, "The good times are free and nobody can take that away"! Exactly, the market has been kind to me so far, but the rubber will hit the road when we get a crash. All I can do is trust the process and don’t act too emotionally. Googly-mail wasn’t talking to Thunderbird (my e-mail client). I recently found the proper search terms, satisfied the Googly-demi-gods, and discovered that you’ve been busy! I had hoped to never see another Excel data plot for the rest of my life, but there it is, right there on your blog. As Paul once advised, look at the bigger picture. IMO, the numbers are less important than the strategy. Budgeting is merely a tool toward a goal. I moved to HP-FC in 1984, and they offered a wonderful seminar entitled “How to Run Out of Month before You Run Out of Money.” That’s the concept, and I still have the binder on my bookshelf – if only to remind me. Run out of month with money still in the checking account. There is a human factor involved – we will conserve resources if we see the pond drying up. Early on in retirement, I set a monthly “salary” to enter the checking account from the various retirement and non-retirement portfolios. (Number available upon e-mail request.) While unknown unknowns happen, we can budget an “emergency fund” to deal with it. Most “emergencies” should be under $3000, right? Right? Or make up your own number. That places a practical limit on unknown unknown expenses. If you dip into the “emergency fund” too often, then your budget does not reflect reality. You can quote me on that. I retired with two sons in college, which may seem kinda gutsy, but both agreed to attend CSU – live at home, saving me a bundle, and college unknowns became known. Recently, the eldest graduated with degrees in Mechanical and Bio-Engineering. Without that tuition payment, it’s a $14K “raise”, as far as I’m concerned. Yay! More beer! The key to any retirement portfolio strategy is to stress-test it. … so factor in a 2008 event. We know it happens. Can the portfolio handle a 5-yr downturn? A 10-yr downturn? My portfolio manager (me) assures me that mine will. If we look at the bigger picture, do you see wealth as a pond, or as a stream? If it’s a pond, then conserve. If it’s a stream (and it is), then divert some of it to a pond – because drought happens. Your neurons that see wealth as a pond will behave accordingly. Someone once suggested, “Know Yourself.” That extends to your spouse, and later, your children. I enjoy the blog posts, Norm – living vicariously through others. Such deep thinking Perry! You’re obviously retired – a working guy would have to toss in a short paragraph and then go to a meeting! 🙂 Good points about ponds and streams though. My strategy is to dunk my neurons in an ocean often; when I keep them wet they tend to behave better. Cheers! Yikes! I kicked off the Amazon spending report, and I’m kind of terrified what I’ll learn. Especially since it is taking so long to complete! Another thought: mine would never complete when I tried too many years. Try 1 year and you’ll get results quickly. Then try 5, etc. and work your way out in time. Hi Norm. 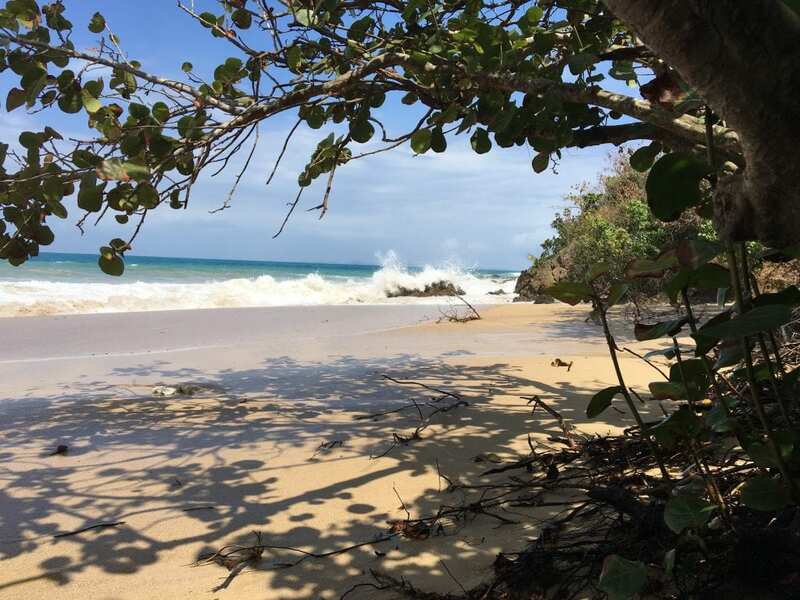 Just curious why you rent vs. purchase a home on Vieques? We’ve visited several times, and that’s where I want to end up! Hi Lisa, good question! We want to have the freedom to live anywhere we want. Although we love, love, love Vieques, one day we may want/need to live somewhere else. As big an issue for us is that we really don’t want to spend our island time working on a house! Finally, it never became obvious financially, that we should buy vs. rent. Without large equity growth in the house value (your guess is as good as mine on that), it didn’t make financial sense for us. Thanks for the question.